Post sponsored by Best Small Automatic Cars Review site for small cars. The scientists use earwax to determine the age of mycetes and also to measure their degree of stress. Believe it or not, the cerumen from the ears of some animals may contain information valuable to your health , as reported in the scientific paper published this November in the journal Nature Communications a group of researchers from the University of Baylor (Texas, United States). And is that, unlike the human species, animals like whales can not clean their ears and remove the wax that accumulates in them periodically, which allows recording in this record a lifetime. In fact, until now the scientists had used the plugs to determine the age of the whales, because they are like the rings of the trunk of a tree, each sheet of wax represents six months of life, but they had never gone further. For the preparation of the work, the experts analyzed 20 wax plugs of the ears – the oldest of a specimen that died 150 years ago – contributed by institutions such as the Natural History Museum of London. 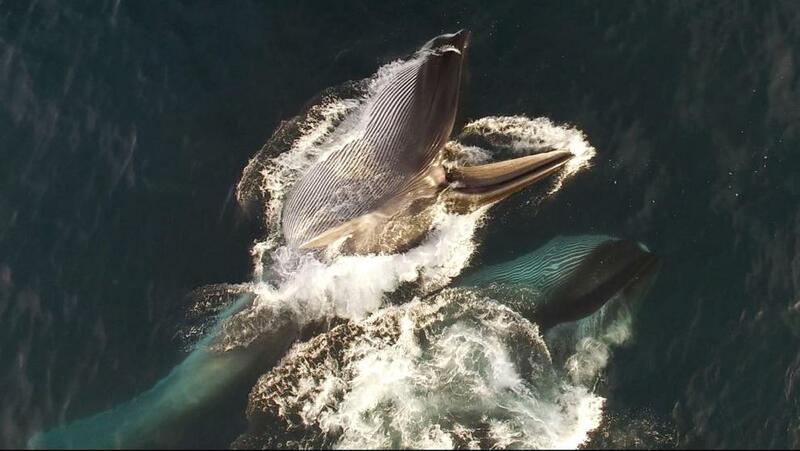 They belonged to three different species of mysticeps found in both the Atlantic and the Pacific Oceans: the blue whale (Balaenoptera musculus), the common whale (Balaenoptera physalus) and the humpback whale ( Megaptera novaeangliae ). The researchers sought to measure the degree of stress of the whales, which focused on the analysis of the levels of cortisone contained in the wax, as this hormone is released during periods of stress. In this way, they could attribute the moments in which the concentration of this substance was greater to periods in which the cetaceans were more stressed by some question or another. The results of the analysis show significant variations over time in the concentration of cortisone, among which stands out a great increase in the levels of this hormone between the years 1920 and 1930, a decade of very intensive hunting during which some 50,000 whales. After these years, the authors of the work assure that the cortisone levels were decreasing until the Second World War, when the number of catches decreased, but the lower pressure on the cetaceans was compensated by the naval battles, the greater number of vessels and submarine detonations, which caused cortisone levels to rise again. Also, the plugs show lower levels of cortisone in the early 70s, when the hunting of mysticettes was prohibited. However, from this moment and up to now the levels have been increasing, according to experts, due to the increasing number of vessels that cross the oceanic waters of the planet, to the increase of water temperature and pollution, among others . In the face of upcoming research, experts say they will continue to use earplugs to study reproductive hormone records, dietary modifications, the accumulation of contaminants and also changes in DNA methylation patterns, capable of inhibit the expression of genes. Thus, they will be able to quantify the contribution of each factor separately, something that, overall, will allow to evaluate the state of health of the whales and, by extension, that of the ocean. Whales have historically been hunted intensively because they have a high fat content – representing between 36 and 45% of the total weight of cetaceans of certain species – that is used today to lubricate machines, which makes them creatures of special commercial interest. In addition, many of them are docile and slow, so, if they have the right means, capturing them is not especially difficult. Today, in addition to the already mentioned high traffic of boats navigating daily through the ocean, the large number of abandoned fishing gear that float in the water column and trap the whales seriously affects the future of these mysticetos. In fact, scientists hope that species such as the glacial right whale ( Eubalena glacialis ) can disappear in little more than a decade if the current situation is not reversed.